EEEEE! Today is the release day of The Little Bookshop On The Seine by Rebecca Raisin! This is a fantastic novel, following the adventures of Sarah from The Bookshop on the Corner, which was the first Rebecca Raisin novel I read, so I'm all excite! Review coming soon! 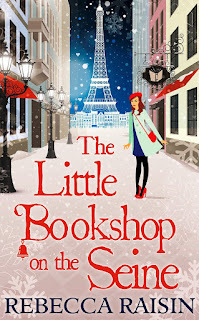 The Little Bookshop On The Seine by Rebecca Raisin was released by Carina UK on October 16, 2015.